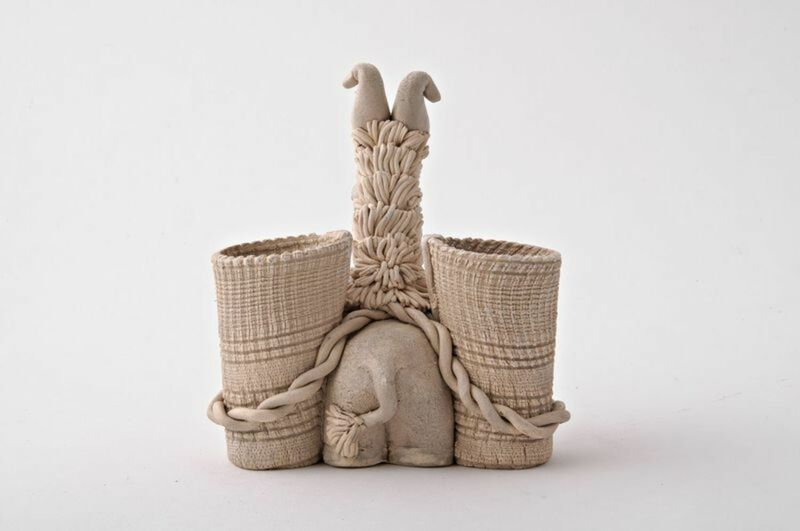 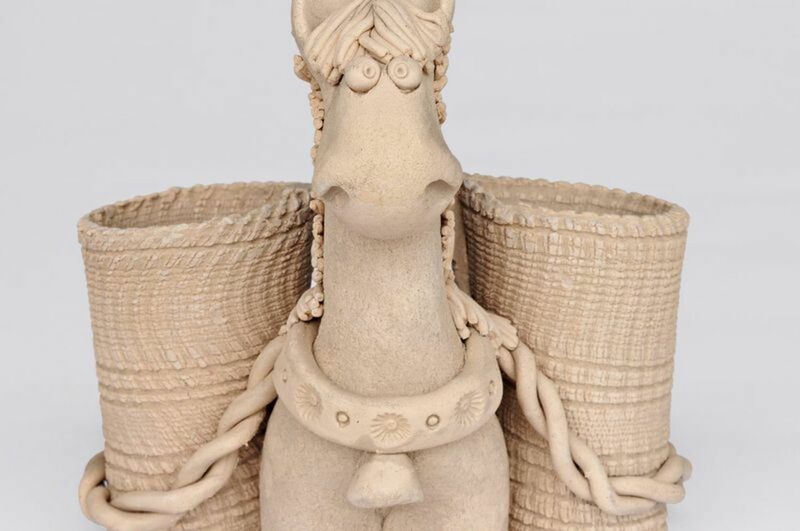 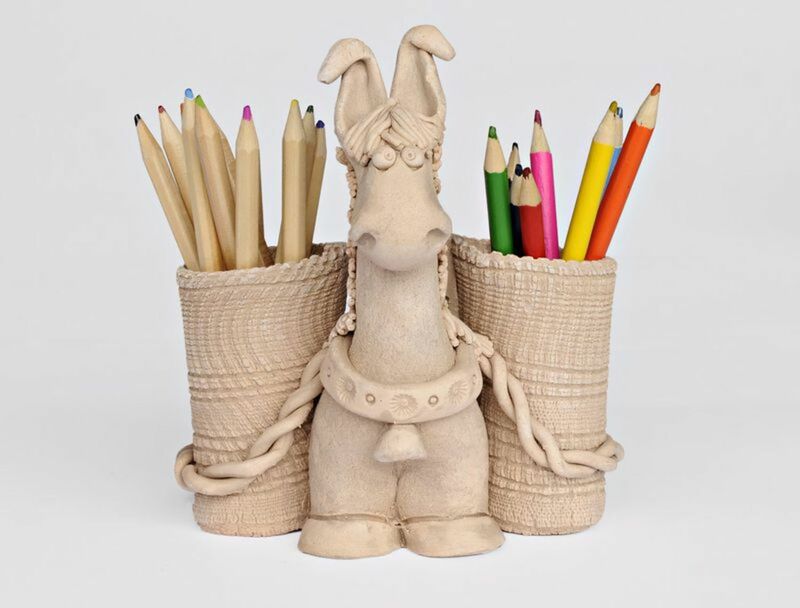 MADEHEART > Clay pen holder "Donkey"
Holder for pens and pencils is hand-sculptured using natural white clay. 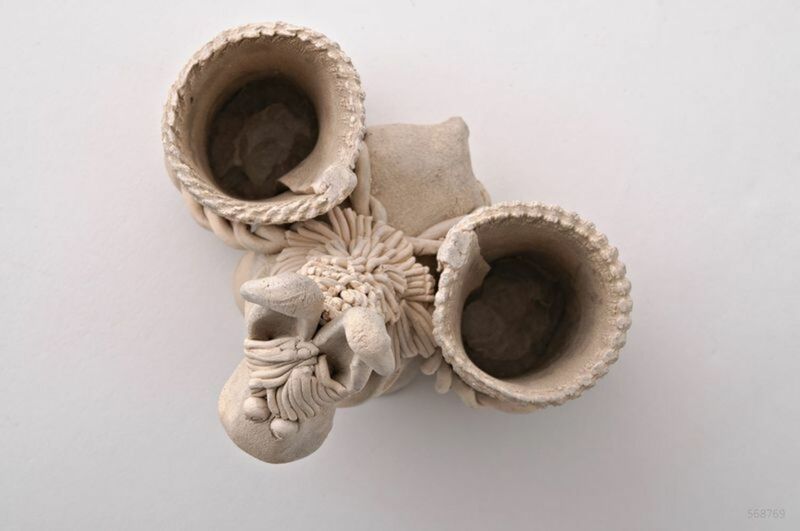 Ornaments were applied on the product with the help of thin awl, after this holder was kilned in the stove. 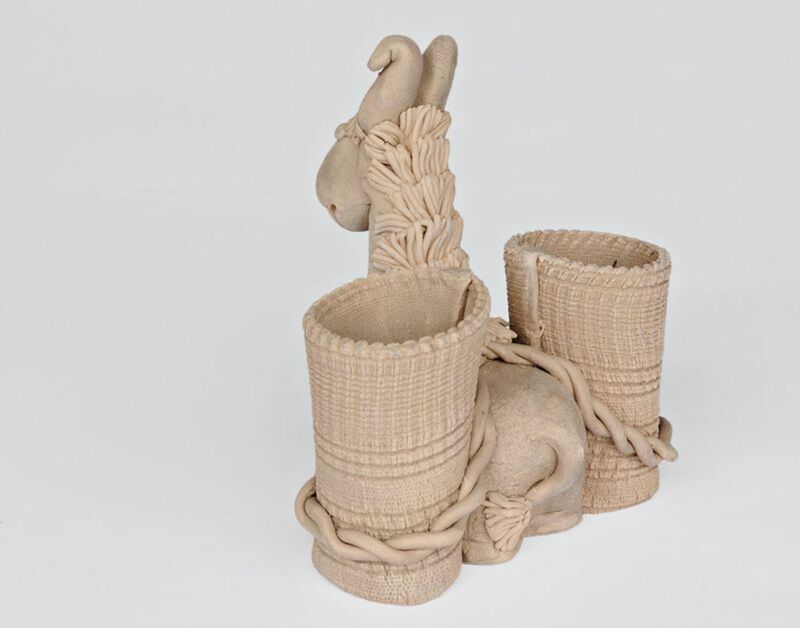 This cute little donkey, carrying its heavy burden, is a perfect gift for a pupil.